Timbeter is an objective tool that is not impacted by human error or any other factors. It provides a result that can be controlled by both sides. Transparent measurements help to increase mutual trust between partners and improve the partnership. Typically, assessing pile density using eyesight is very subjective and open to a high risk of human error. Timbeter provides digital proof of every measurement that can be stored and retrieved online to settle disputes. Measurements are made on real timber, not wood that has already been chopped into pieces or piled together. Furthermore, it prevents situations where stronger parties dictate the pile density coefficient and the subsequent weaker party cannot disagree for the sake of cooperation. Digital information enables multifunctional data use and decreases bureaucracy and paper resources. By using Timbeter, all data is backed-up, stored and available online. Users can access, manage, forward and share data easily. Problem: State forests are usually on the seller's side and therefore it is important for them to maximize the value of every single log. Pulp-and fuelwood is typically measured by pile density coefficient that is subject to various disagreements. Pile density coefficient determines the timber amount without air and bark. The volume of timber is calculated by using pile density coefficient that is multiplied with the cubage of the pile. This measurement method is quick but the subjectivity in the measurement process reduces its reliability. Everyday error margin varies from 5-10%. Within a couple of minutes, there’s long-term data available regarding the measurements and it is easy to check if the results don’t comply with certain numbers, and detect the reasons behind that. Timbeter’s goal has been from the beginning to make the forest sector paper-free, transparent and more effective. 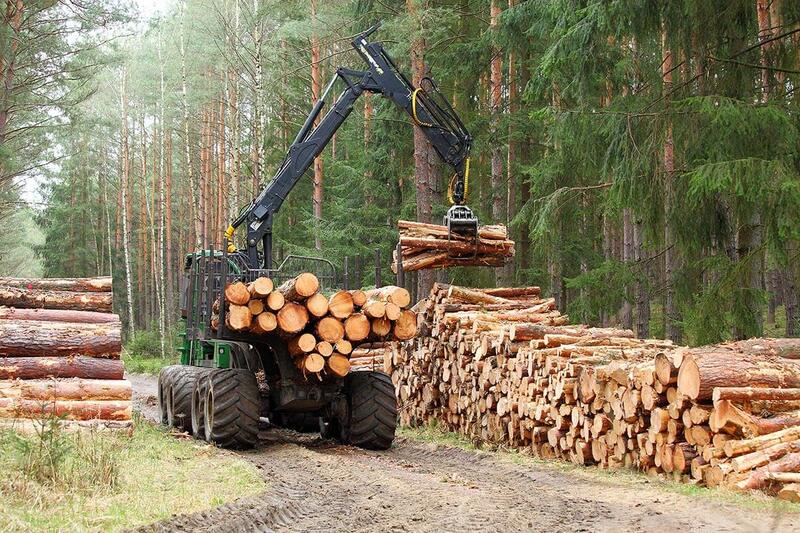 We are making this vision happen for both the Estonian and Lithuanian State Forests. 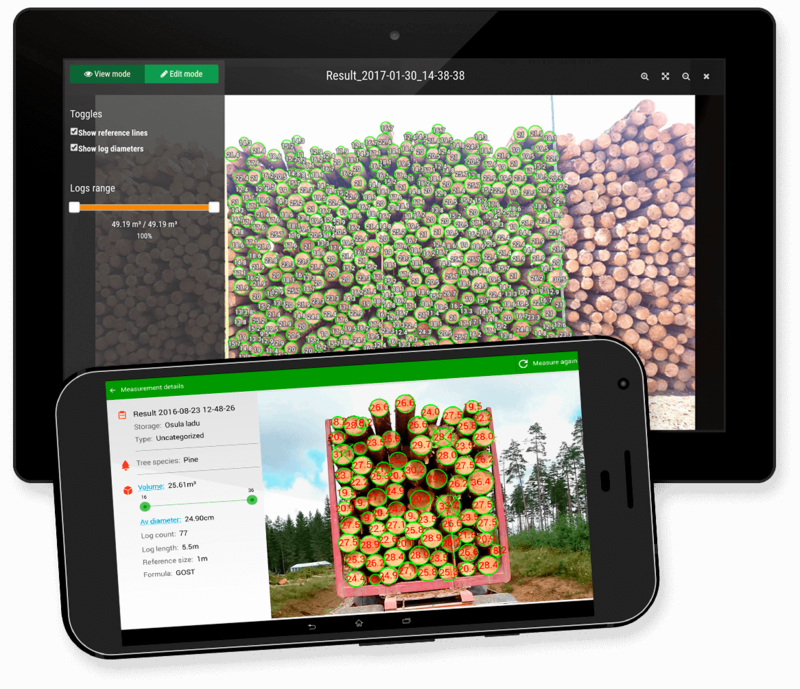 The Estonian State Forest Management Centre timber truck drivers have used Timbeter to determine the pile density coefficient for more than 2 years. The data is forwarded to e-waybill and the digital proof is available on every measurement. The logistics manager has a real-time overview of all measurements and assortments moving on the road.